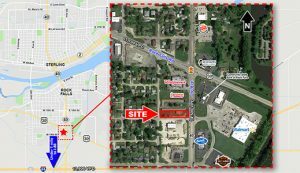 This 19,160 square foot property is located less than 1 Mile north of I-88 Interchange. It is ideal for a fast food operator with drive-thru capabilities. The site has easy access and is located at a 4-way interchange with Walmart entrance.